The Orange County Inland Empire Small Business Development Center (SBDC) Network has created specialty tech centers throughout the Orange, Riverside and San Bernardino county region called SBDCtech. Whether you’re looking for guidance with starting your new tech venture, obtaining angel or venture capital or looking for SBIR/STTR assistance we’re here for you! This award-winning accelerator focuses on assisting later-stage tech ventures develop an investor presentation for first round institutional or corporate venture investment. It provides business guidance and access to capital growth resources through its network of investors and advisers. Provides tech companies in the Inland Empire access to both the technical expertise of the only research university in the county as well as the business expertise of UCR’s Entrepreneurs In Residence. 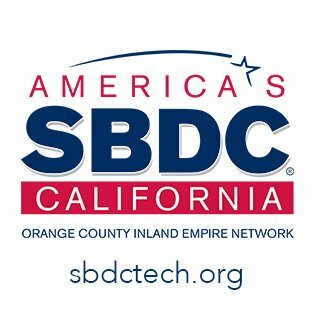 Check Out Our SBDCtech Events!